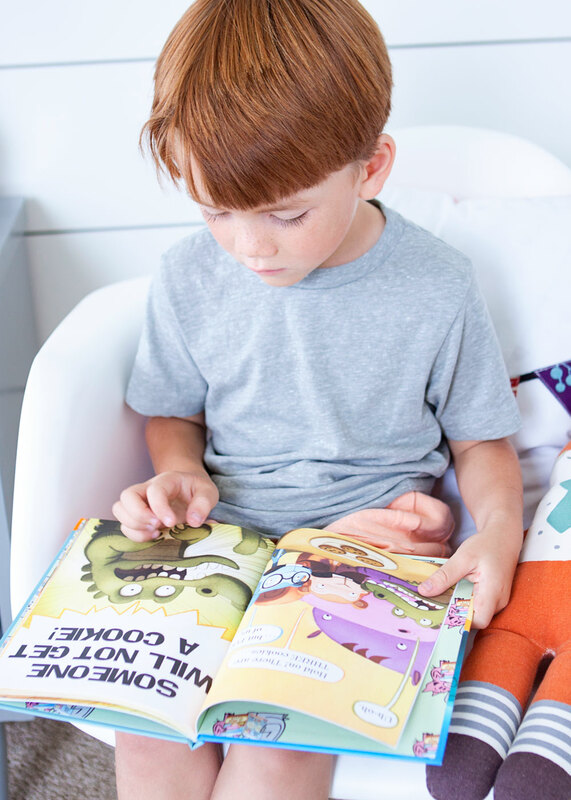 We were so excited around here to see that two new books in the Elephant and Piggie like Reading series came out on September 20th from the beginning reader series by Mo Willems and to partner with Disney-Hyperion this month! 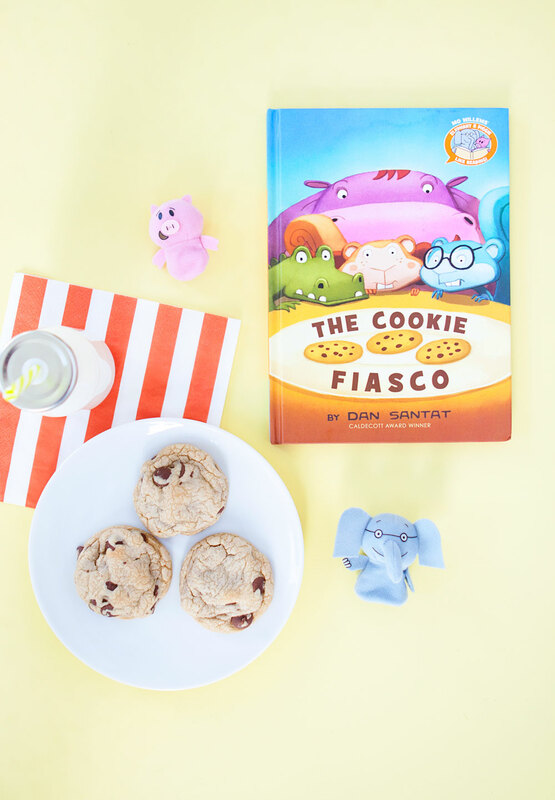 My kids are huge fans of Elephant and Piggie, and couldn’t wait to read the newest books, Cookie Fiasco, and We are Growing. As soon as our Mo Mail arrived my cute 2nd grader Norah immediately took the books over to my kindergartner Thomas, and read them to him! They loved them, and have been reading them over and over ever since their arrival! It has been so much fun to see my youngest Thomas really grow and excel starting Kindergarten this year! 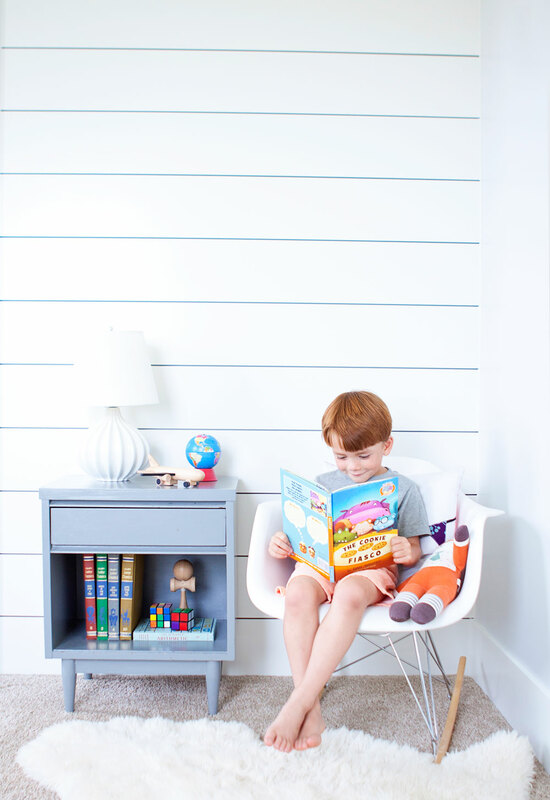 He has started to read on his own, and comes home having learned so much each and every day! I just love seeing how much they learn and grow, and it’s almost like they grow up a bit each day in that short time they are away at school. I’m not kidding, this week I’ve felt like he has grown up a ton! He looks so much older! He really is growing like a weed, which is kind of killing me a little to see my youngest growing up so quickly all of the sudden! As much as I’d like to stop time, it just isn’t an option, unless you know someone who can, I’d love to know! Until then, I am going to cherish all the time we have together at this stage in life, and take the time to cuddle, read books, and spend the afternoon baking cookies together, exploring, and laughing. My kids have really gotten into baking lately, and they beg and beg me to bake with them. 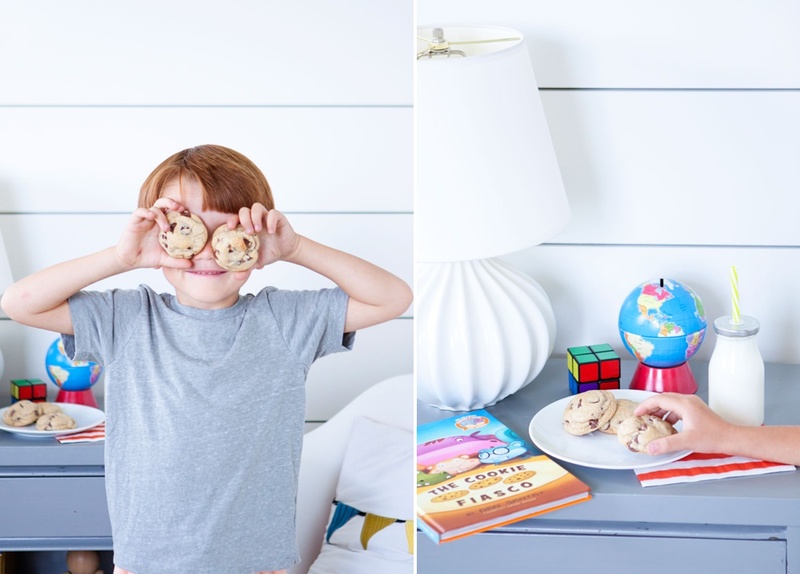 It’s always fun to be able to do that together in the kitchen, and Thomas and I were able to bake up a batch of our favorite chocolate chip cookies together! He always gets excited to pour each ingredient, and is a big help, especially with eating the chocolate chips, wink! 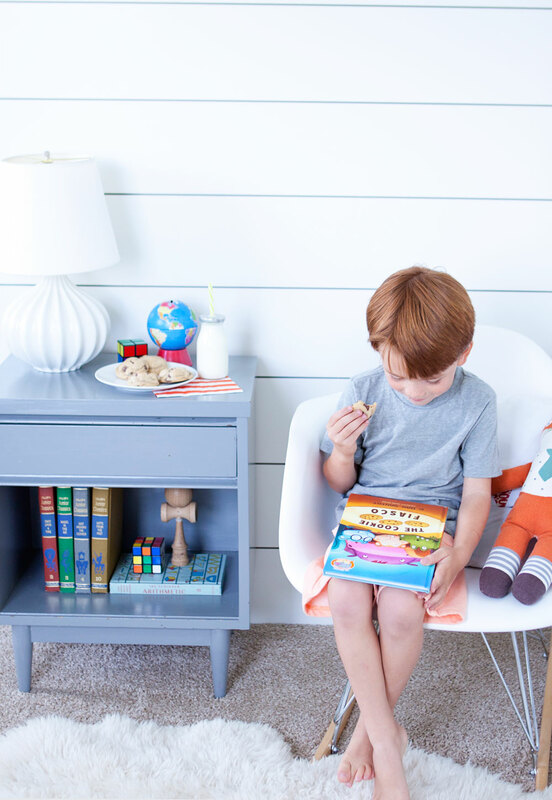 We sat down to some freshly baked cookies to do some reading together. 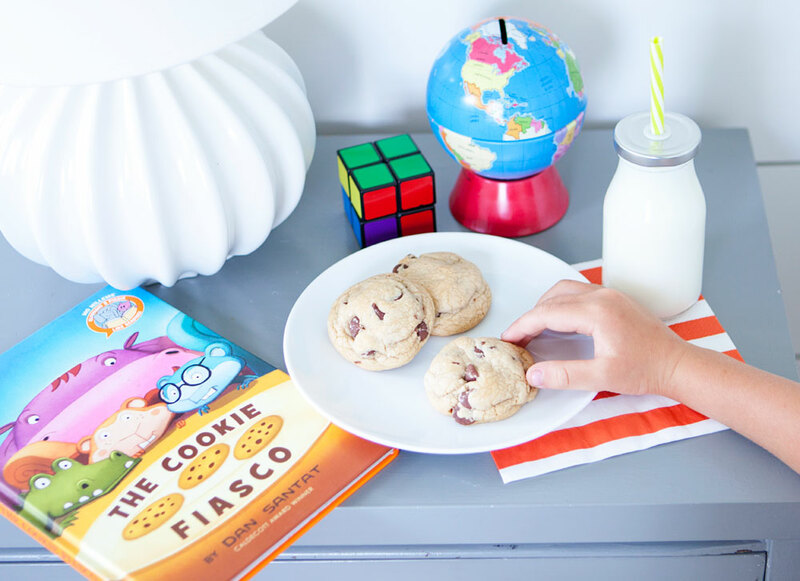 The Cookie Fiasco was the perfect book after just baking up some yummy treats! It is about four friends, with only three cookies, and one problem. The friends need to act fast before the Hippo Breaks all the cookies into crumbs! Such a hoot! 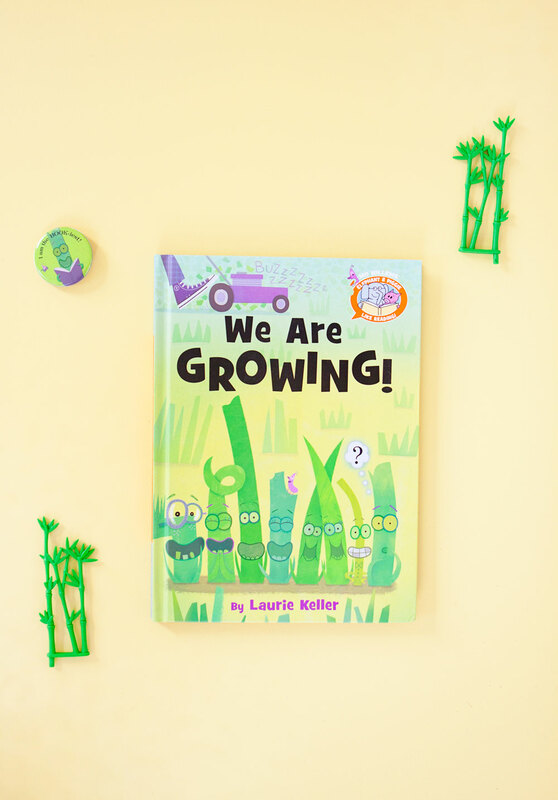 We also loved reading We are Growing. With little plant friends growing up so fast, they all want to have something special of their own, and they each find it! 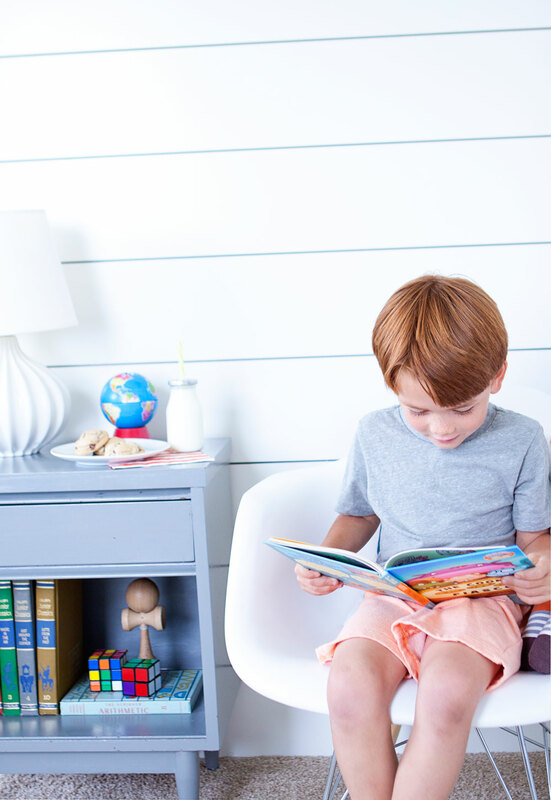 Such cute books that we are sure to read over and over in the time to come! Thank you so much for supporting the brands that make this blog possible! 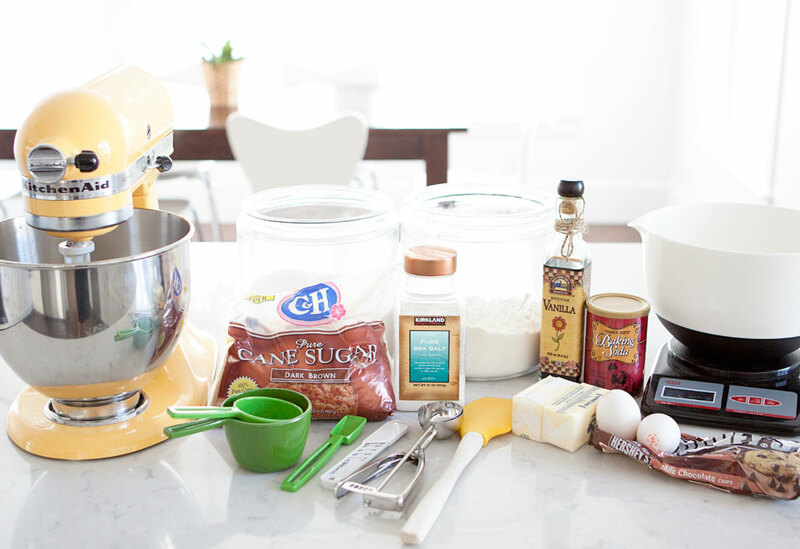 Be sure to read more for my step by step favorite chocolate chip cookie recipe below! I have spent years perfecting the recipe, and have been keeping it all to myself for all these years, but I am finally ready to share it to the world! 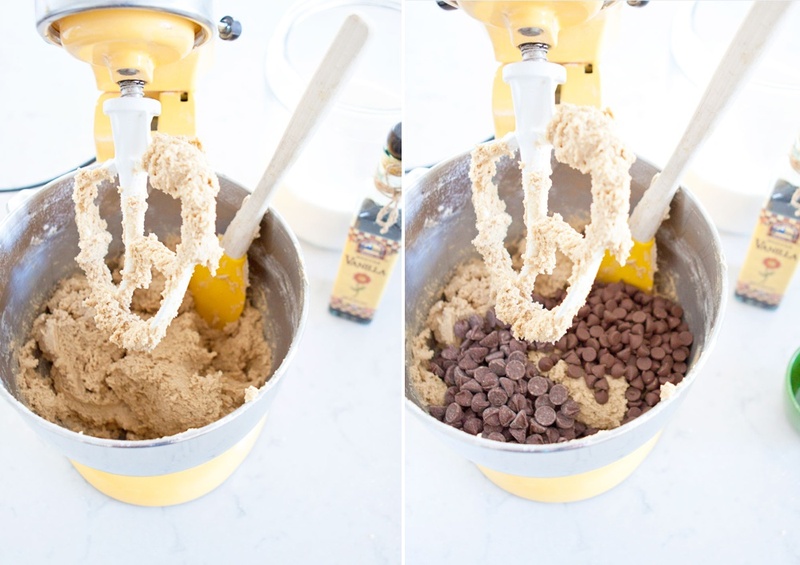 I love to have all the Ingredients on hand for chocolate chip cookies to be able to whip up a treat at a moments notice! When making this recipe, it always makes things easier to have all the ingredients measured and ready to go before you start the process. 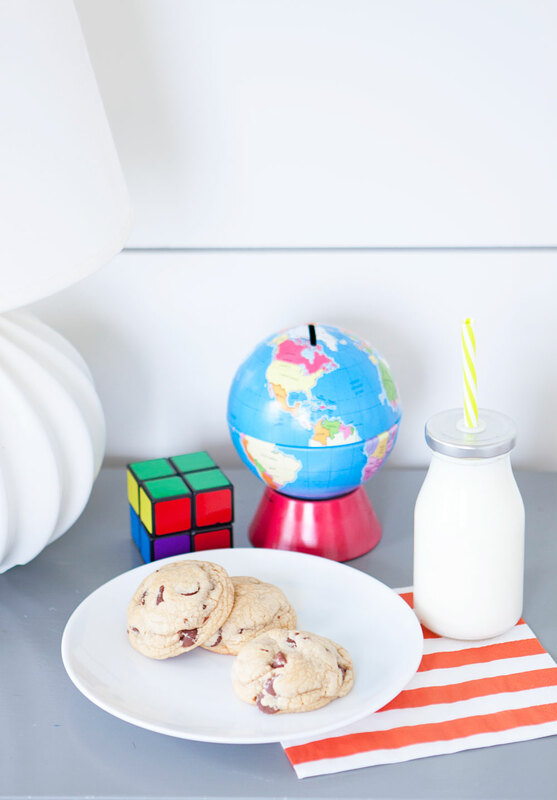 There are a few specific steps to follow in order to make the perfect chocolate chip cookie, and once you once you master the recipe, they really are the easiest chocolate chip cookies to make! 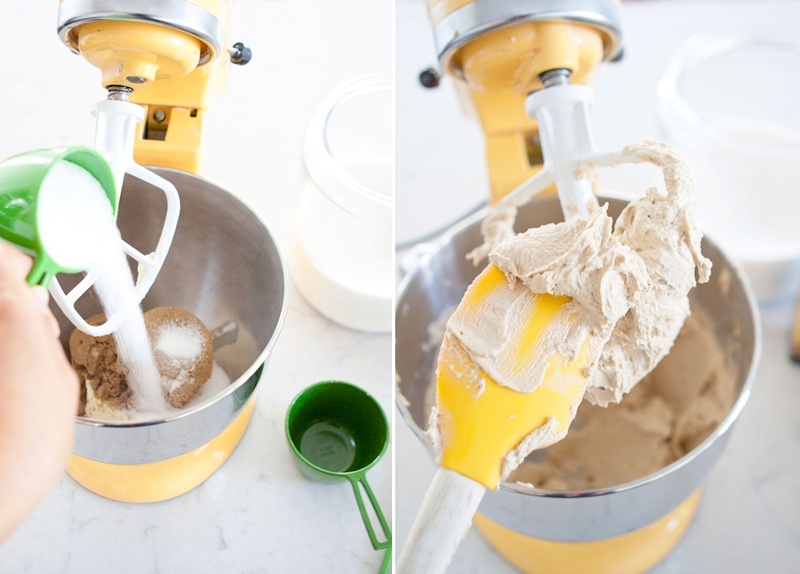 I wanted to make sure you had the full step-by-step instructions, I know I like to see exactly what people are doing and using in a good recipe, so I listed as many details as possible to make sure you can recreate my favorite cookies! Be sure to check out the full recipe at the bottom! Cream 2 sticks of salted softened butter with the sugar and brown sugar (I prefer to use dark brown sugar, but you can use light too). 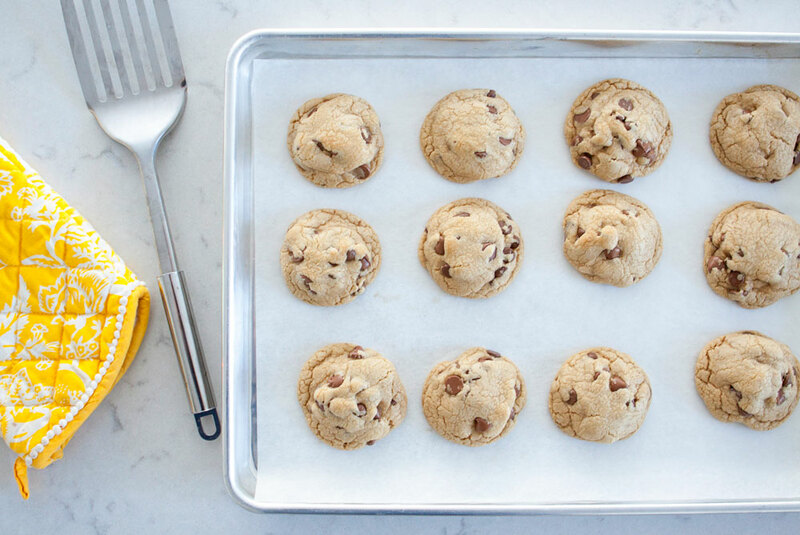 I typically stick with un-salted butter when baking, but the salted butter in this chocolate chip cookie recipe just makes it even more so amazing! Cream the butter and sugar together with the paddle mixer attachment for 2-3 minutes on a medium speed until it is nice and fluffy (like the picture above). It is important to have the eggs at room temperature before adding them to the recipe. If you need to bring them up to room temperature quickly, place them in a bowl of warm water. 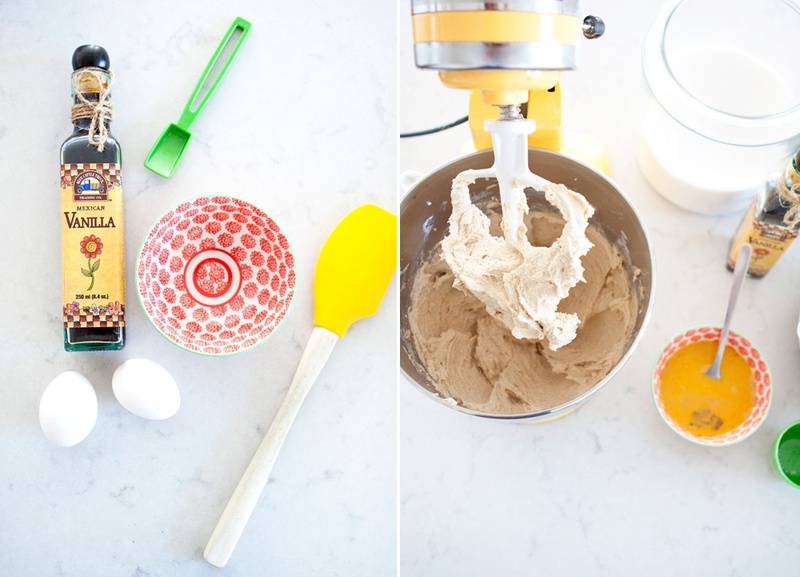 Placed the two cracked open eggs into a bowl with the Vanilla*, and whisk them together. Slowly add the egg and vanilla mixture to the creamed butter and sugar over a medium speed, and mix for another 2 minutes. 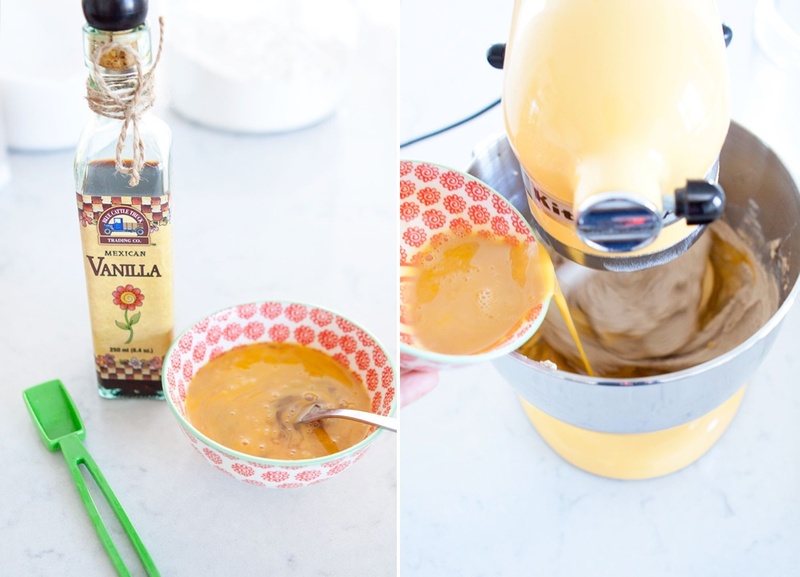 *Expert tip: I loved to use Mexican Vanilla when making chocolate chip cookies, it really adds to the flavor! My favorite brand is The Blue Cattle Truck Trading Co. Mexican Vanilla. Mix together the flour, baking soda*, and sea salt into a medium bowl (my favorite brand of Sea Salt is Redmond Real Salt). My biggest tip for making chocolate chip cookies is to measure out the flour with a kitchen scale! I always use a kitchen scale to measure the flour as opposed to measuring it by the cup. 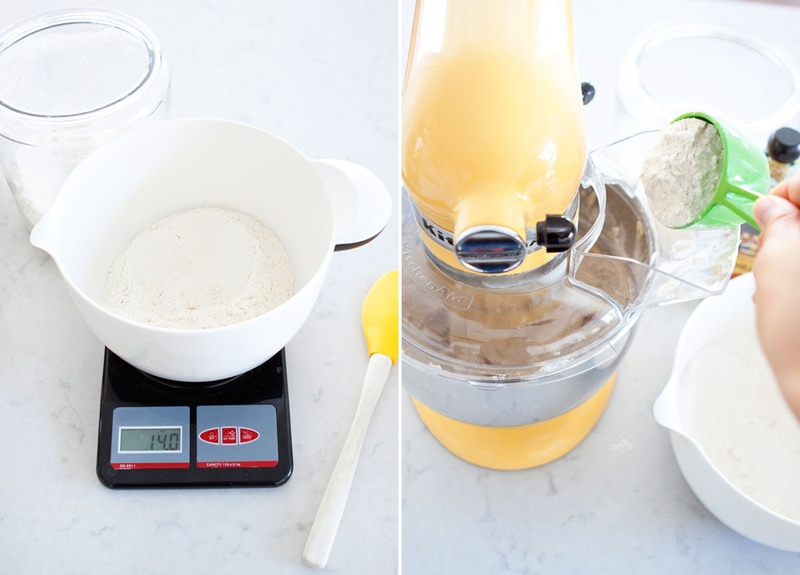 I feel like some flours measure differently, and the best way to be accurate each and every time is to use a kitchen scale, so that is why I am giving you the measurements in ounces vs. cups. *Expert tip: You always want to make sure you have fresh baking soda. Make sure it has been stored in an airtight container with a lid, and it is not more than one year old. 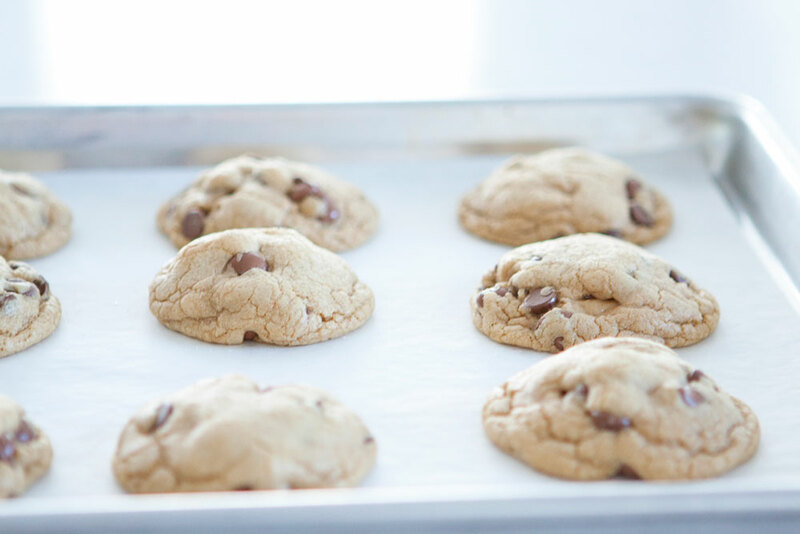 If the baking soda is old, it loses some of it’s rising qualities, and your cookies may turn out flat. Since I am in Utah, and my altitude is higher (about 4,500 ft above sea level), I require a little more flour than if you are at sea level. I usually do anywhere from 14 ounces to 15.5 ounces depending on the day. I usually feel for consistency in the dough, but lately at my altitude about 15 ounces has been great! If you are at sea level, I would start with 13 ounces, and see how that goes for you. You don’t want the dough to be too sticky. If it is really sticky, be sure to add a little bit more flour. Once you are finished adding in all of the dry ingredients, it is time to add in the chocolate chips, and stir! I am a big fan of milk chocolate chips! 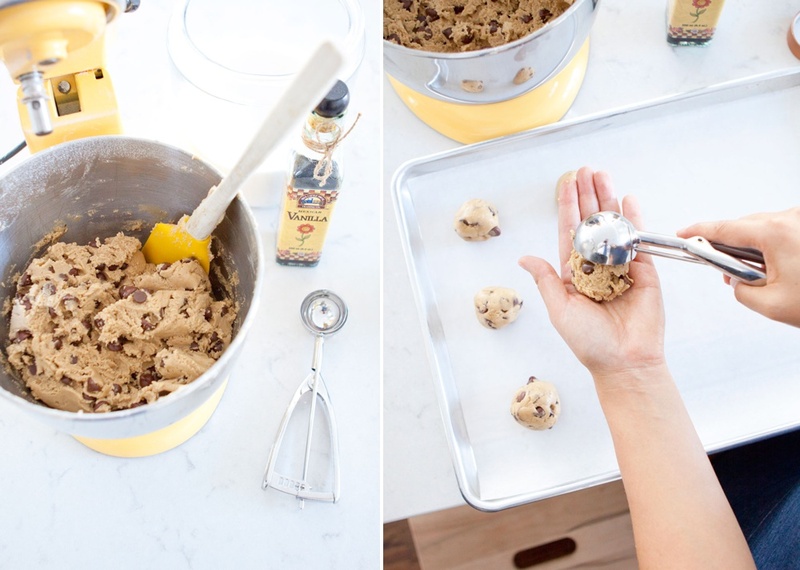 Basically, that is the way to go for me when it comes to chocolate chip cookies! I like to use the Ghirardelli Brand, Hershey’s, or Guittard Brand of Milk Chocolate chips when making my cookies. I tend to go for the more chocolate the better philosophy, so I usually add at least 2 1/2 to 3 cups of chocolate chips to this recipe. It’s oh so tasty! When the cookie dough is ready, I like to place the dough in an airtight container and chill it overnight. I feel like that gives me the best tasting cookies and produces the best results. However most of us don’t have the patience to wait that long, and baking them right away is fine too. I like to use a cookie scoop to help form the cookies. The scooper I have holds about 3 tablespoons of cookie dough. 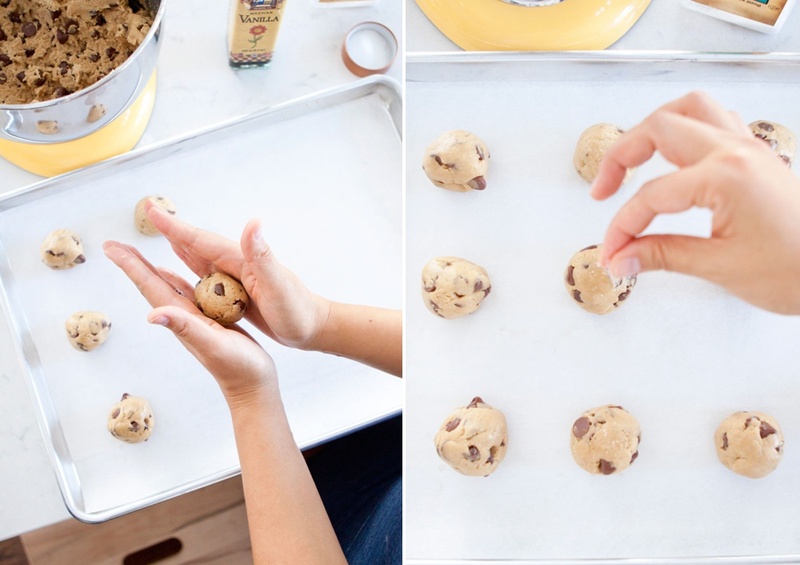 I will scoop it out with a cookie scoop, and then place it between my palms and give it a little roll to make it nice and smooth. I like to finish it of with the teeniest sprinkling of sea salt on top. I place about 12 cookies per cookie sheet, and this recipe makes about 3 dozen. 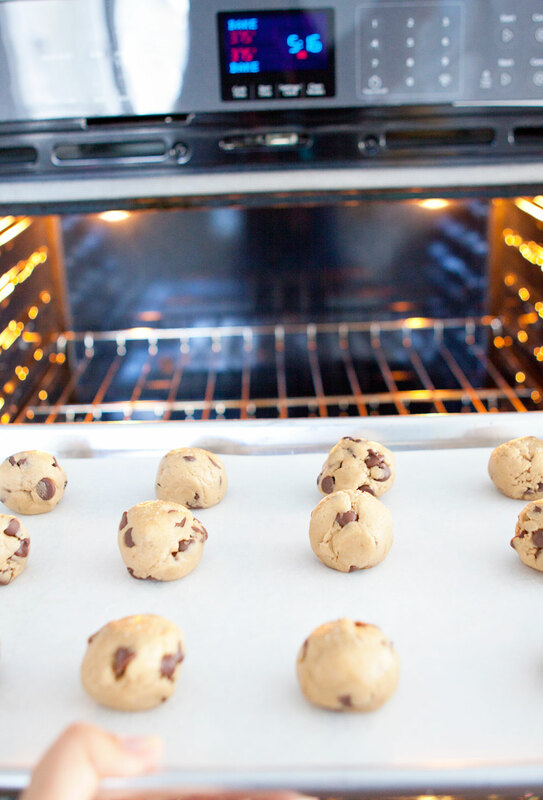 Bake the Cookies at 375 degrees for 9-12 minutes depending on your oven. In my convection oven, I bake mine for about 9 minutes. But, maybe for your first batch, just cook a few to make sure you get the times right. But, you want it to be just slightly browned on the top, but not too brown, or they will harden quite a bit when you take them out. I like them a little soft. So, just keep in mind they harden up a lot once you take them out. Allow them to cool, and Enjoy!! Cream the butter and sugar together for 3 minutes. Whisk together the eggs, and vanilla in a small bowl. Slowly mix in the egg and vanilla mixture, and mix for two more minutes. 13-15 oz flour (use 13 if you are at sea level, and 15 if you are at higher altitude) *roughly 3 cups if you must have it in cups. wink. Slowly mix in the dry ingredients about a half a cup at a time. Once the dry ingredients is added, mix in the chocolate chips. 2 1/2 to 3 cups chocolate chips depending on your preference. 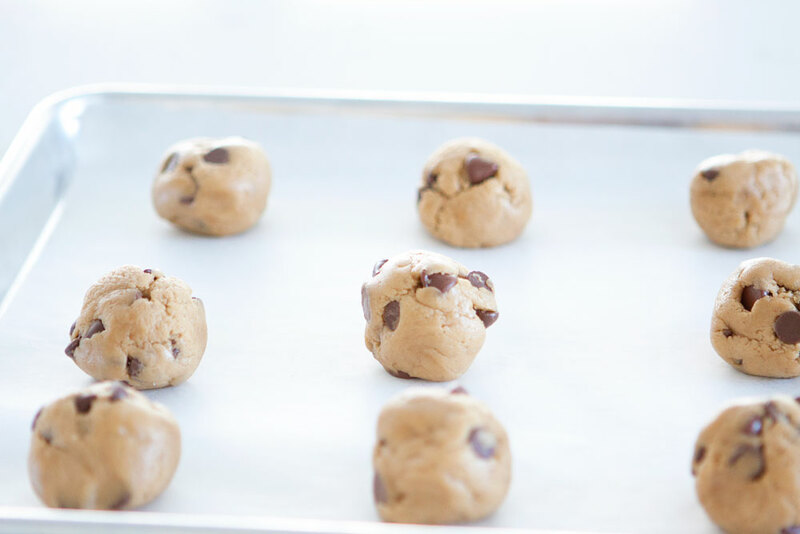 Make 3 tablespoon size round balls, and place them on an un-greased cookie sheet. Bake at 375 degrees for about 9-12 minutes. The recipe makes about 3 dozen.